This past week, two Manhattan Community Board 3 committees voted to approve the city's application for the proposed Union Square Training Center, also known as the Union Square tech hub, which the de Blasio administration says will create 800 construction jobs and then 600 permanent jobs in the growing technology sector. The land use and economic development committees of CB3 opted not to condition their vote in favor of the proposal on rezoning several blocks south of the proposed project as the board had considered and some preservationists and long-time community members are fighting for. The non-binding community board vote to approve the project came on the heels of the New York City Economic Development Corporation (EDC) setting in motion the public review process, known as the Uniform Land-Use Review Procedure (ULURP), on January 29 by officially obtaining permission to move forward with the initial project design and chosen developer, RAL Companies & Affiliates LLC. The clock will continue to tick on the roughly seven-month timeline that requires approval by the City Planning Commission and the City Council before any demolition or construction can take place in Union Square. The tech hub would serve as a state-of-the-art multi-purpose facility, with floors allocated to technology training and startup offices, as well as retail space, located on 14th Street between Third and Fourth Avenues. The building, which sits on valuable city-owned land, is currently a P.C. Richard & Son. Community board approval, and without conditions, indicates that the project is almost certain to become a reality, though there are indeed still points of contention that will be negotiated over the coming months among local stakeholders, the de Blasio administration, and elected officials, especially City Council Member Carlina Rivera, who represents the area, and Manhattan Borough President Gale Brewer. According to EDC, the 240,000-square-foot, 21-floor facility would allocate six floors to Civic Hall -- three for digital skills training center, three for the company’s own operations as a center for tech innovation -- five for “flexible” office space, eight for larger office space, and the ground floor for retail and market space, 25 percent of which would be reserved for first-time entrepreneurs and new local businesses. EDC projects construction would cost $250 million and last 18 months, after which the building would be the third-tallest on the block, behind Zeckendorf Towers and the Consolidated Edison Building, and open for business sometime in the middle of 2020. The project is a component to Mayor Bill de Blasio’s “New York Works” plan, a decade-long initiative to create 100,000 jobs, 30,000 of them coming from the technology sector, that pay salaries north of $50,000 annually. Currently, technology is the fastest-growing sector in New York City’s economy. Increasing jobs in the field has been a point of emphasis for de Blasio, continuing the Bloomberg administration’s prioritization of creating tech jobs in New York, as evidenced by his heading the effort to bring the Cornell Technion campus to Roosevelt Island. The city also says the project will serve those that might otherwise not have access to jobs in the technology sector. He emphasized the centrality of the space allocated to teaching technological skills. “The cornerstone of this project is the digital skills training center. This is a place where some of the top organizations from all over the city will train New Yorkers on how to do the jobs that are in demand and give New Yorkers the skills they need,” said Hogrebe. Most elected leaders, advocates and residents of the community are in favor of the proposal; they see it as a way to bring to the area jobs and educational opportunities that prepare people for job-rich fields. But some are pushing to include a concession in the deal: rezoning several blocks south of the hub in order to limit development. During her 2017 City Council campaign, then-candidate Carlina Rivera said she was open to the tech hub project as long as the city implemented protective zoning measures aimed at curbing commercial and residential development in the nearby areas. The de Blasio administration, on the other hand, has generally been less likely to favor down-zonings as it seeks to add housing density, with affordability provisions, across the city. 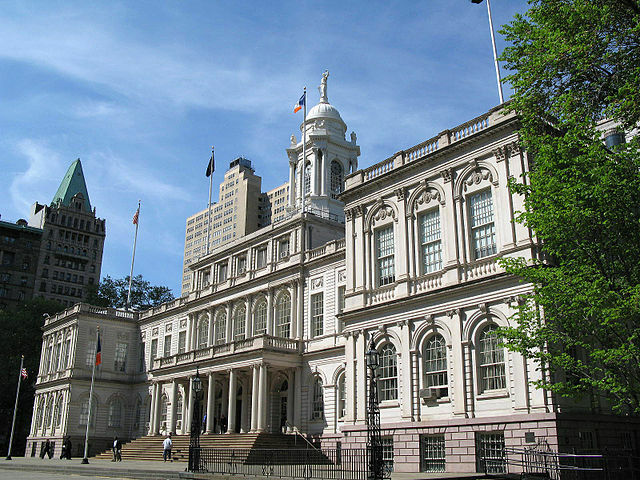 It remains to be seen how hard Rivera will push for the restrictive measures, and it is telling that the community board did not insist on them despite some loud and organized voices who call them essential to the neighborhood’s future. In order to build the tech hub as planned, the lot in between two New York University-owned buildings -- University Hall and Palladium -- needs to be rezoned for additional height allowances. The rezoning must be approved through the five-step, roughly seven-month ULURP process. After the de Blasio administration put forward its ideas, solicited bids for the project via a request for proposals (RFP), and chose a developer, last month’s certification was the first hoop the proposal was required to jump through and this past Wednesday’s community board hearing was the second. Next, Manhattan Borough President Gale Brewer and the Borough Board, which includes community board leaders and City Council members from across the borough, will review the proposal. While they may influence the project, the opinions of the local community board and borough board are both advisory. However, the following steps, the City Planning Commission and the City Council, both have power to either approve or deny the tech hub project. In the coming months, the Council will hold committee hearings and subsequently vote on the matter -- the full Council approval of the project, in whatever exact form it is finalized, will likely occur around Labor Day. Usually, City Council members follow the lead of the member who represents the area home to a proposed rezoning, and there has been little to suggest this particular rezoning process will be a departure from the norm. At the Community Board 3 hearing on the matter, a slight majority of those who testified voiced support for the tech hub. They said it would bring jobs and educational opportunities to the area, though some in the pro-tech hub camp wanted confirmation from the EDC representatives in attendance that those from the local communities would reap the benefits of the new facility. Another faction, which skewed older, whiter, and included many long-time residents of the East and West Villages, expressed their concern the tech hub would spawn unwanted changes in the neighborhood if they didn’t fight for measures -- like more restrictive zoning on commercial development -- to thwart these shifts. After the tech hub is erected, one theory goes, more residential and commercial development -- such as luxury and market-rate apartment buildings, chain stores, and hotels -- would change the community character, make the surrounding areas less affordable to small businesses and unrecognizable to long-time residents. Rezoning the area, in the skeptics’ telling, would preserve affordability by forestalling a potential wave of development adjacent to the tech hub. Following over four hours of testimony and discussion, the community board committees voted 16 to 5 to approve the ULURP application without any condition. “This tech center has the potential to be a great space for the local residents who historically have not had access to the high-paying jobs of the tech industry, a field whose companies continue to grow in and around our neighborhoods,” Rivera continued. Rivera said she will ensure the impending construction of the tech hub does not encourage excessive commercial development, which she said would adversely impact nearby residents and small businesses. “I will also continue to work towards the protections and rezoning which have broad community support that promote the development of housing and projects that are in line with our values and residential character,” she stated. Berman, for his part, expressed displeasure with the community board’s process and decision. “By the narrowest of votes in which several of our supporters who should have been allowed to vote but were not given the opportunity to do so, a strong resolution incorporating all of our concerns was defeated for a weaker one incorporating some but not all of our concerns,” said Berman in a statement to Patch. He vowed to “keep working” to advocate for policies that ensure the neighborhood “gets the protections it deserves and needs." Needless to say, not all of those who participated in the hearing were disappointed with the outcome. Meghan Heintz of More New York, a group that advocates for policies that increase housing supply in the city, argued at the hearing that the tech hub was a boon to residents of nearby neighborhoods, and warned against the consequences of prohibitively restrictive zoning. Heintz was pleased with the board’s decision to approve the ULURP application. “Education and job training for the new economy is vital and should be accessible to people from all backgrounds and delaying it is the same as denying those benefits to New Yorkers. We staunchly oppose the exclusionary zoning proposal that NIMBYs from an adjacent neighborhood clumsily tried to tack onto the project,” she said Thursday in a statement to Gotham Gazette. Along with the community advocates and stakeholders, New York University would also be impacted by the tech hub as the lot on which the new facility would be built is in between the two aforementioned NYU buildings. 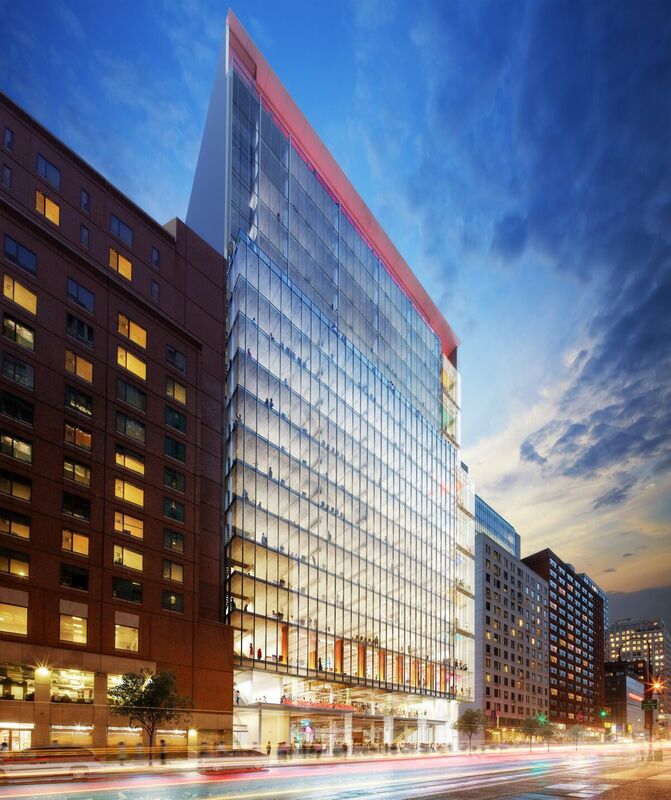 NYU spokesperson John Beckman said Wednesday that while the university has not had “direct involvement” in the project, the university supports “overall efforts to strengthen NYC's science, tech, and innovation economy” which includes the tech hub. “The Union Square Tech Hub is meant to advance NYC's tech economy, and that's an objective NYU supports,” he stated. Instead, Gates said, the city should build more housing in the transit-rich area while ensuring that a sufficient amount of it is affordable under Mandatory Inclusionary Housing (MIH) guidelines, which require affordable housing in any area or project that is upzoned to add housing density. “We should also be looking to get some mixed-income housing in a very upper-income and increasingly exclusionary neighborhood,” he said.